"Philadelphias New Crown Jewel". 500 Walnut re-defines World Class Luxury Living with 35 private, fully customizable residences, centrally located along the Boston/ New York/ Philadelphia/ Washington DC corridor, just minutes from high speed trains and Philadelphia International Airport. Only 10 opportunities remain offering 2700-4300 square foot floorplans, high speed priority elevators opening up to your private foyer or floor, superior construction, sophisticated interior finishes and materials, high ceilings, balconies, floor to ceiling windows with sweeping exposures of Independence Hall, surrounding parks, water, the historic skyline and all that this fabulous city has to offer right at your doorstep. Exclusive features of this state of the art Scannapieco building include a fully automated 2 story underground parking system with induction charging for electric cars, full Concierge service, Elegant Lobby and private Garden, Doorman, Tesla Town car service with driver, stunning Guest Suite, Amenities Floor with Lap Pool, Spa, Entertaining and Meeting spaces and a breathtaking 400 square foot terrace overlooking Independence Hall and the surrounding Park. 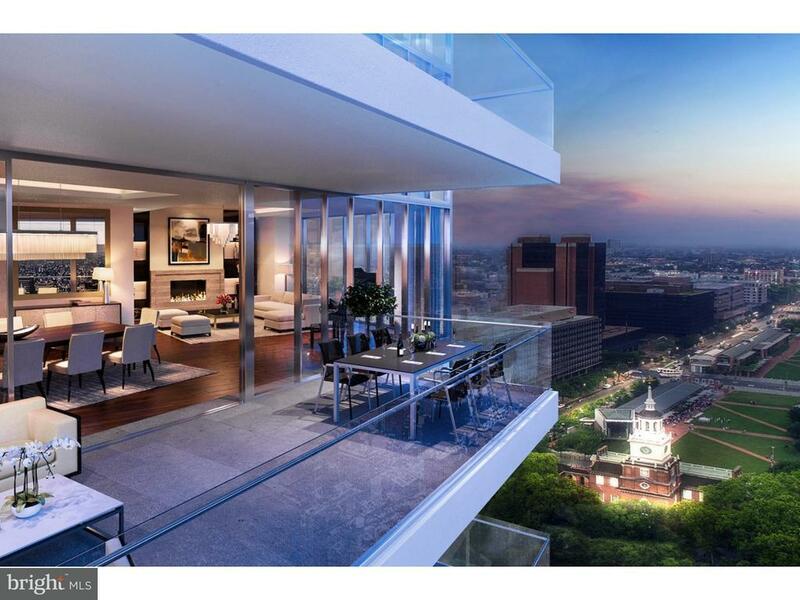 Perfectly located in the prestigious Society Hill neighborhood, this stunning trophy Tower is within close walking distance to fabulous restaurants, sophisticated shops, diverse design boutiques, incredible music and theater venues and historic treasures. Enjoy a lifestyle of complete privacy, comfort and convenience. Quick settlement/move in possible!